GIS maps redesigned for mobile! Three of our most popular web applications have been updated with new features and redesigned to be easier to use and mobile friendly. This free weekend event will connect civically-minded community members with geographers and technology experts to collaborate on the use of technology and data to solve community problems or make government easier to use. Work on an open source project, take a run at visualizing available open data, help out with some research, work collaboratively with local government staff to improve public services or just generally put your shoulder into projects centered on improving, enjoying or exploring the places we live in the Twin Cities. Bring your passion to make our community and government better. We’re calling people of all backgrounds and skills. Citizens, designers, developers, mappers, students - no technology experience needed. Everyone and every idea is welcome! For details and registration, visit www.hennepin.us/geocode. 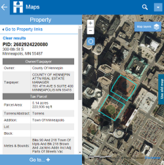 Hennepin County has expanded access to its collection of public geographic information systems data, which is used by the public and businesses for a variety of needs. This data is available to the public free of charge and without a need for a license. 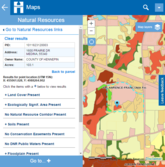 Please visit the Hennepin County GIS Open Data Site to learn more.